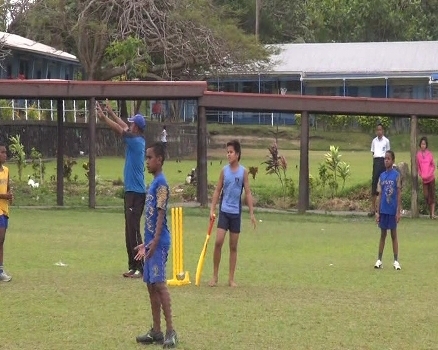 Over 200 students competed in the first ever Cricket Fiji Primary Schools finals at the Cathedral Secondary School grounds in Nasese yesterday. The students featured among the 11 division teams that qualified from the various zones around the country. Cricket Fiji General Manager, Inoke Lesuma says he was impressed by the talent on display during the competition. Division teams that competed yesterday included Nadi, Nausori, Suva, Navua, Tailevu North and Tailevu South in the under 10, 12 and 14 age grades.